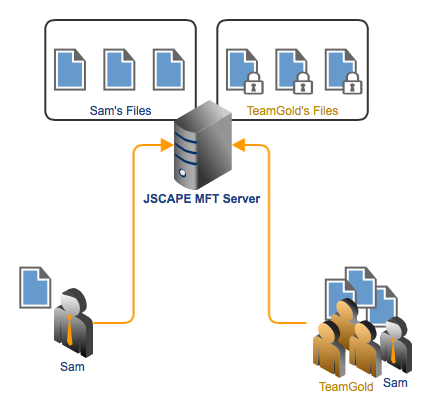 In our example, Sam is a member of TeamGold, a special group formed to handle a project involving sensitive data. If Sam uploads files to his personal folder, no encryption is necessary. However, if Sam or any member of TeamGold uploads files to TeamGold's group folder (presumably because those files are pertinent to the team's special project), those files need to be encrypted. 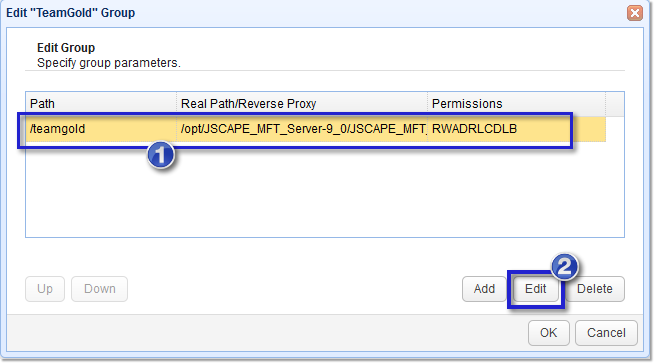 Here's how you would implement this on JSCAPE MFT Server. 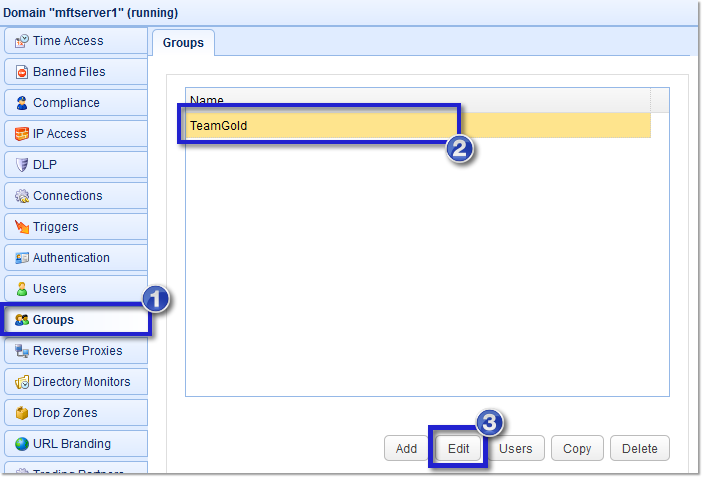 Note: If you want Sam's other files (those not associated with TeamGold) to be encrypted as well, you can do that too. 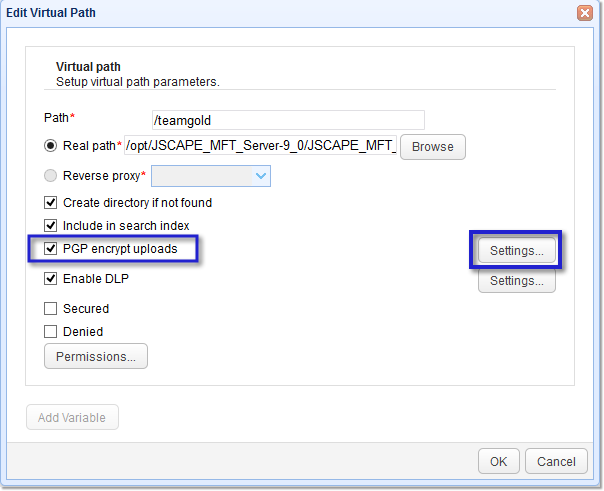 Read the post "How To PGP Encrypt Every Single File Uploaded By A Particular User" to see how it's done. 1. Choose the group whose files you want to encrypt. Go to the Groups module, select the group whose files you want to encrypt, and click Edit. Select the group's virtual path and then click the Edit button. Tick the PGP encrypt uploads check box and then click the Settings button. Use personal key of user performing upload - Select this if you want this user to be the only person who could decrypt the files he uploads. Make sure to instruct this user to generate his OpenPGP keys using the Web interface (see Option 2 of the article "3 Ways to Generate OpenPGP Keys"). Use system key - Select this if you want another person (usually the System Admin or the person in charge of securing your files) to decrypt this user's files. The keys available via this option are created in the Server > Key Manager. See Option 1 of the article "3 Ways to Generate OpenPGP Keys". After you've selected one of these options, click the OK button. Click all succeeding OK buttons til you're back at the main screen. That's it. So now, every time Sam (or any member of TeamGold) uploads files to the TeamGold Group directory, those files are going to be encrypted with OpenPGP.